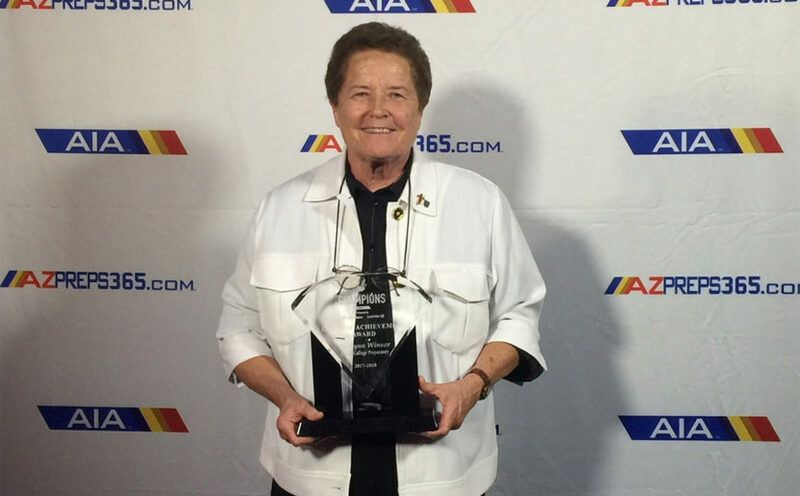 Lynn Winsor, BVM was honored by the Arizona Interscholastic Association with a Lifetime Achievement Award at its annual Champions Awards Luncheon on Monday, May 21 at the University of Phoenix Stadium. Lynn, who is a Xavier College Prep alumna, joined the school’s faculty in 1974 and spent her first seven years as a physical education teacher and chairperson of the school’s physical education department. In 1977, she also became the school’s vice principal and athletic director. Sister Lynn has coached Xavier’s championship golf team since 1974.